One of our key concerns as parents is our children’s overall nutrition and school meals, and how we can help to change them for the better. The District 1 Presidents' Council formed a nutrition committee to examine ways that parents can help to improve their children’s school food. Some of our schools have already made terrific progress, and from their experiences we’ve gathered these brief guidelines to share amongst our parent community. Form a committee to address nutrition issues. Start a nutrition committee as a sub committee in your PA/PTA. If your school is sharing a building and cafeteria with another school then approach their PA/PTA and see if they would be interested in forming their own committee and collaborating. Commit to monthly meetings. Come up with a list of changes/goals for the cafeteria. Make sure everyone is on the same page as far as the kinds of changes you wish to see. Some schools sent a questionnaire home in the kids’ backpacks to get feedback from as many parents as possible. Assign a liaison with the SchoolFood Service Manager. Each school is assigned its own SchoolFood Service Manager. Some Managers have multiple schools to manage. This person is your first line of action. By assigning one member of the committee to work with the Service Manager then you ensure consistency and a better chance of a good working relationship rather than a resentful manager who feels under attack from a hoard of parents. Invite the SchoolFood Service manager to monthly meetings of the Nutrition committee. Make sure your Service Manager is available on the day you have your meetings, and have part of the meeting be a time where you can review the progress of the agreed upon changes together. If your School Food Manager is not being cooperative. Remember, Rome wasn’t built in a day and this process needs time, effort and a big dose of empathy. 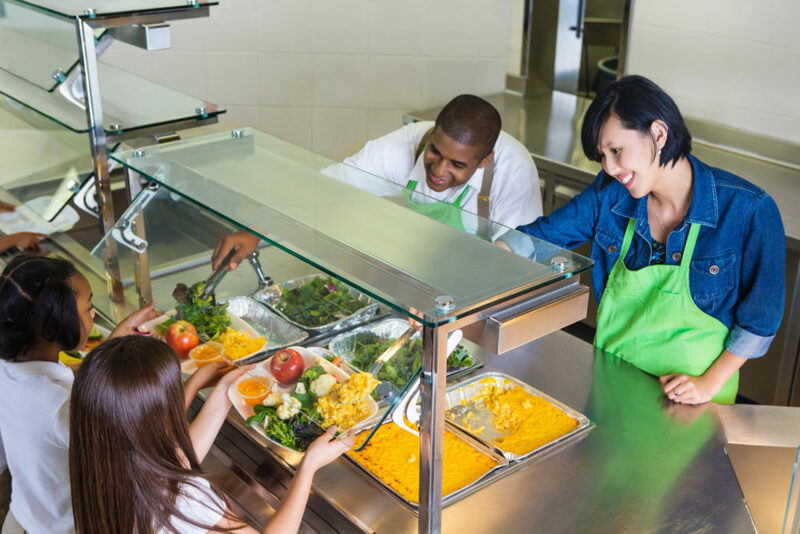 We all want tastier, healthier meals for our children, whether we are parents or lunch ladies – but change is a process, and the SchoolFood organization is putting out nearly a million meals a day. It’s not going to be simple, but it is possible! And while you are setting out your demands to the SchoolFood representative, you might want to ask what help they might need from us to be able to move forward.